This is the second portion of our four-part series covering medical studies on the use of Cannabis to treat illness. 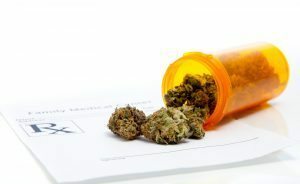 This part of the series will focus on how medical marijuana can help patients living with severe and chronic nausea caused by HIV/AIDS and chemotherapy treatments for cancer. This part of the series will also cover how Cannabis can manage the symptoms of MS (Multiple Sclerosis) and ALS, also known as Amyotrophic Lateral Sclerosis or Lou Gehrig’s Disease. If you have any questions about the health benefits of medical marijuana or whether you qualify for medical marijuana in Massachusetts, call Inhale MD at (617) 477-8886 to set up a confidential consultation with Dr. Tishler. Your information will be kept private. Multiple Sclerosis (MS) affects an estimated 400,000 people across the United States. MS causes damage to myelin, the substance which insulates nerve cells, leading to effects including muscle tremors, muscle spasms, difficulty speaking, and eventual paralysis.